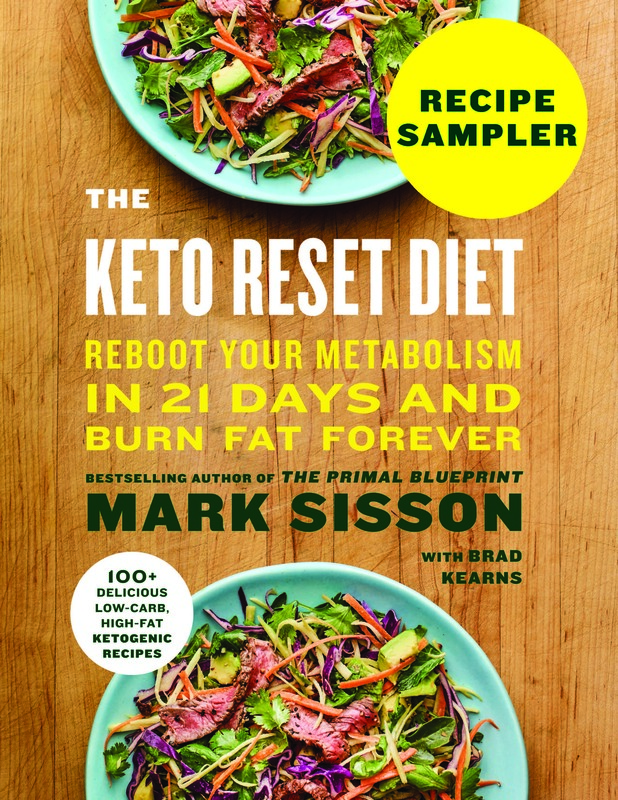 That video was a “gateway” to finding many other resources that most reading this are no doubt very familiar with: Gary Taubes, Dr. Perlmutter, Tom Naughton, and eventually Paleo, Primal, and Mark’s Daily Apple. I started to have a coherent vision of what had gone so wrong the last 40 years for my family, for America, for global society. I remember another key search I did: Why is going grain free good? A novel concept to me at the time beyond their impact on glucose. I think that search, in fact, led me to MDA. It was the humorous article Mark had written on answering questions from friends on why you are grain free. The sandwich discussion was just brilliant. The information in that article correlated with so many other articles and what I was experiencing in my own life. And things were just continuing to get better and better for me. I completed my first 5K February 1, 2014. At around 38 minutes I met my goal, which was to run from start to finish. A couple of months later I ran my second 5K and my time was 31 minutes. I was starting to use MDA more and shifted into more of a “Primal Fitness” regime. I still ran and walked but I did more strength exercises and started to sprint in the summer of 2014. I also started listening to MDA podcasts and heard one from Darryl Edwards on Primal Play with Brad at Tulum. One day recently I was at a park and saw a bar in a playground just about the perfect height for a pull up. Never in my life had I been able to come close to doing a pull up. I thought what the heck, what would Darryl do? And getting my chin over the bar was one of the best feelings of my life. Although this isn’t a fitness routine, I have been using a stand up desk at work the past few months. After a transition period it has been fantastic. It has helped with core strength and posture, but also increased productivity. The hints on MDA on how to use stand up desks for maximum benefit and minimum downside have been very helpful. Friends and colleagues have had many questions. I have helped many and I am doing a presentation at work soon. I have had a few Internet articles written about me, and Sam Feltham of the Smash the Fat fame interviewed me. Living in Austin now, my family and I family attended PaleoFx for the first time this past year. 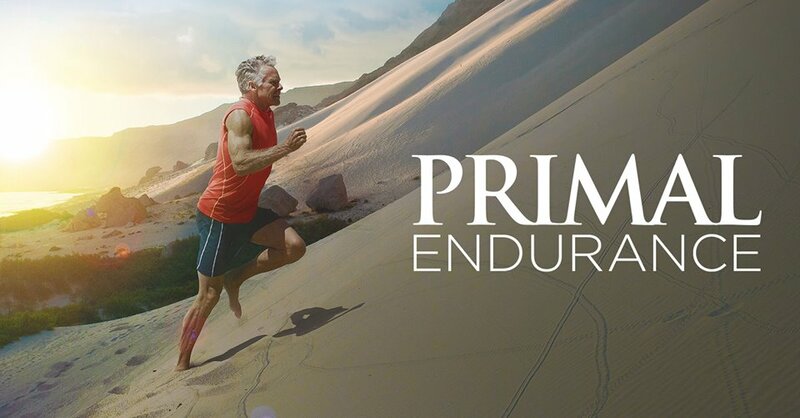 I’ve signed up for PrimalCon Oxnard. I am so excited to not only meet everyone and soak up everything I can, but to also spend a few days back in what will always be home. The Pacific was a huge part of my life growing up. Going back to play in her is just an added bonus to what I am sure will be an amazing adventure. One of my heroes growing up was John Denver. I consider him to be a great American poet, who also happened to be a pop singer. One of my favorite songs is Rocky Mountain High. There is a line about being born in your 27th year, coming home to a place you’ve never been before. That is what this journey feels like to me now. I have not only healed myself from the cellular level up, but my body now has the food and inputs it needs to be the ecosystem it was meant to be. I feel at home from my center, out, by following The Primal Blueprint. It is something I never would have felt any other way and something I will be always grateful for. As profound as the health benefits have been, I feel they have been overshadowed by the opportunity for me to know a more authentic me with both my body and mind operating and interacting with the world in a truer and richer way. Awesome job! Love the Friday transformations! Beautiful way of putting it…John Denver was poetic indeed. And congratulations. Your journey is inspirational. Jacob– awesome for you and the family. 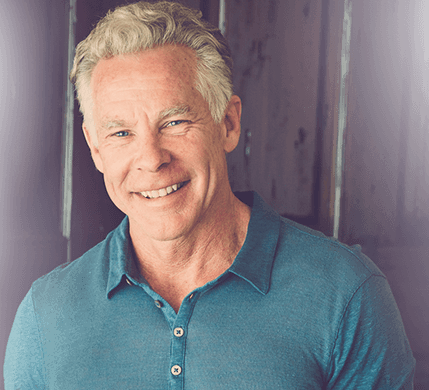 Having spent many a “Saturday Night in Toledo Ohio” and marrying the best looking girl there– and becoming primal which changed my life– I know this lifelong journey for all of you will be full of healthy joy! Way to GO and Grok ON! I virtually never comment but had to for you – love this post, and am so happy for your physical, emotional, mental, and spiritual growth, kicked off by a diet. Congratulations! You both look great and I’m sure you feel great too! I admire your dedication to help the school lunch program be healthier. It is needed. What a great story, well written, so inspirational! I feel like your life will have a strong impact on your extended family and your coworkers. What a gift. I’m so happy for you and your wife and child. You are all looking fantastic and can tell you are feeling on top of the world. Another modern day miracle on the Friday success story. This is great. Really inspiring to those of us who started off in similar places. I too started off at nearly 300 pounds and although my weight is coming off slower, it is coming off, so that’s good. Well done! Thanks for sending this in! Thanks all. When I referenced ‘Cherry’ above it was a play on my name because I would get beet red trying to run. I wasn’t that overweight but the low quality of my nutrition had impacts beyond weight. Then the weight just piled on with my proneness to be insulin resistant as I got past 25. I want to point out I hope my story shows how resilient the human body is not fragile. Sure if I had reached a further level of deterioration it might have taken longer or been harder, but 48 years of following the CW and societal advice, and giving my a foreign diet, still left my body with the capacity to heal itself, with food and the other inputs Grok and his descendants thrive on. Even with all my body had been subject to, within a year my body and mind rebounded beyond my expectations. The Sam Feltham interview linked to has even more of how I did it on a daily basis. But in a nut shell, whole food, plenty of natural fats, no grains, meat, dairy, veggies. As Cereal Killer movie says: ‘let fat be thy medicine’. So Grok on everyone and definitely say hi if you are going to Primalcon and see me. i agree, everyone asks for my recipe when we use chicharrones as a coating for pork-chops. Absolutely awesome, you put a smile on my face. Wow. What a powerful story. I’m inspired and touched by your devotion to your family and the difficulties you’ve had. Thank you. I either read about the chicharrones thing or heard it in a podcast. Totally works though. So many people are so excited about their health improvements and food discoveries and want to share them all over the Internet and social media. It made figuring out how to make this a healthy and tasty journey that much easier. I really think social media is going to help make lasting changes to the nutrition paradigm. The global, increasingly in our face damage of the low fat dogma to lives and the huge medical expenses contrasted with the transformations and lives saved on the various LCHF approaches simply can’t be denied anymore. Nor can the negative impacts to lives and our economy be afforded any longer. Fabulous story. I hope your wife can have a positive affect on the children at school. in our home-economics class we learned how to be safe in the kitchen and make high sugary foods (no bake cookies and orange juliuses)…. now most schools do not even offer a home-economics class or nutrition class. IT HAS TO START AT HOME. Joey, thanks. Yes family was huge motivation. My uncle sadly is about the same. And I didn’t put this in but he was on statins. We are trying what we can to improve things, but it is a hard thing, dementia, once it happens. I try to use my anger as fuel and not let it consume me. So many of us have been touched in so many negative ways by the conventional wisdom, but all the more reason to be part of the solution. So family was huge motivation, but I am not going to lie, it is Really nice being in shape and being stronger and fitter than ever at 49. A little over a year after I started I went into a store that I could not even fit into their XXL the year before. I fit into a small. That felt great. Health is the motivation ultimately, but with health comes the ability to have more fun and look better and those are great also. What a fantastic story–and so well written. Congratulations to you and your wife, and thank you for your commitment to spreading the healthy message on behalf of children! You rock! Ho-lee f@ck! Well done! Great story. We always make excuses that person X has this or that going for them, when really, we’re also very smart, capable people. I love that he was inspired by drawing on previous successes and thinking that becoming healthy is another success that he can achieve and add to his list! Larry, you’re a few years older than I am, but never would have guessed it. You look amazing. Such a well written story, I was hooked on your every word. Wish there was more to read! Maybe you can give us an update sometime. Good things will continue to happen. Congratulations! Larry, I am honoured to have played a small part in your transformation (in relation to treating your environment as your gym and you working through your pull-up). Well done and best wishes for the next 10-15lb but most important to better health! This really made my day! Thanks and I look forward to some Primal Play with you at Oxnard! Both of you are inspirations. Well done! Well “played” – have a blast at Oxnard! Amazing… you are a good writer, and your story brought tears to my eyes. Thanks for sharing your story! You and your whole family look so much happier and healthier now. And I just switched off the hard rock station I was listening to, to go into my “My Music” folder on my compuer, and am listening to Rocky Mountain High as I type this. It’s been a while since I’ve heard that song. What an inspirational story. You should be very proud of what you’ve accomplished! A very well written account of your journey. You fave a beautiful family! Wow. Just wow. And your expression of deep gratitude, in a world where gratitude is in short supply, was wonderful. Wow, you both look AMAZING! What a transformation! Congratulations! I look forward to Friday AM for these stories. Larry, congratulation to you and your family. Your story didn’t disappoint – very inspiring. Be sure to put heavy cream in your daughters thermos. You both look amazing! I can tell it was so worth it for both of you and your cute kids! Congratulations! Your story is a great one. Thanks for sharing. Brilliant, beautiful – you, your story, your family, your commitment. I have worked as a psychotherapist in public school settings, and the school food issue just pretty much sets my hair on fire. Elementary schools, middle schools – feeding kids disastrous food – literally harming them, both the healthy kids not showing any problems and the kids w/medical and behavioral problems – and the well-equipped school kitchens just sitting there waiting to have junk food prep replaced with full-fat organic milk (or can I hold out for raw??? ), pots of bone broth for winter soups, veg, meat, etc. More work for local farmers! Huge savings in kid health care! Happier, less stressed families! Kids more able to learn, and teachers less stressed from not having to discipline and herd all day instead of teaching! Maybe I can help with the task of educating school boards, etc. Thanks everyone. Sarah, love the ideas and passion. It would help the kids, teachers, the country so much to have those ideas implemented. No sugar crashes, the fat and nutrients for building healthy brains and priming the brain for learning. Lets both pledge to educate school boards and get as many other people as we can to help. The concert was the Greencards. Interestingly enough the first band me and my wife ever went to when dating. They started in Austin, moved to Nashville, and have returned to Austin. Kim and Carole are super nice and took pics with my wife and daughter. Very wonderful folk/bluegrass a bit alt thrown in. Regarding chronic cardio. I didn’t find MDA at first. I was well into the low carb journey and the C25K journey before finding MDA. But MDA has been invaluable and is the first website and PB is the first book I recommend. But I do have a few thoughts on the running for me. First it was very empowering for someone who could never and I mean never run a half a block to set his sights on a 5K. Second it helped, physically and mentally in so many ways. My joints, feet, legs, knees never hurt. I think it helped get my appetite hormones back in balance. Also it felt great. The feel good hormones definitely out weighed any cortisol at that distance. I think it is one thing to make running the backbone of your fitness versus my situation of getting in good enough cardiovascular shape to be able to do a 5K. I am sure Mark or Brad can do a 5K at the drop of a hat. But ONCE I found MDA I started shifting away from running to more body weight stuff and sprinting. However every two weeks or so I go for a 2 mile run and I am amazed I can knock it out. Most importantly I feel great doing it. And even two to three 2 mile runs I don’t think come close to chronic cardio that Mark describes in those two wonderful and very personal podcasts up recently. Thank you for letting me know the band name. I’m not familiar with Greencards. Will have to check them out. Wow, what a story. Fantastic changes, fantastic parents! Congratulations! Thanks again all. And Darryl just noticed the comment. Thanks. I’ve heard you with Sam, Brad, I rented the PaleoFX videos on Vimeo and saw you on panels. You’re a big inspiration to many and thinking of play instead of exercise has really been wonderful for figuring out ways of interacting with my daughter. For instance I just recently thought of ‘moving high fives’. She mastered the high five long ago. So now I move my hands about and she has to do, well, a moving high five. It turns the routine into play and laughter. Not sure if I’d have thought of it without the seeds you planted. Way to go! Grok On! wow! Wishing you all the best! Dear Larry, well done to you and your wife, you are both great inspirations to the rest of us. Writing from the other side of the world (more or less), I was wondering what is chicharrones please? Would love you to succeed spreading the word to schools, what a great nutritional start in life the children would get. Thank you for sharing your story with us all. In my opinion your humility is a bit misplaced, I understand what you’re getting at, but you certainly deserve huge acclaim for taking charge of your own and your family’s health and leading to a place where all can thrive. That’s heroic! Your story is truly amazing and inspiring, it’s a great idea to take your experience where it’s needed, beyond MDA. You have excellent communication skills, I imagine that a lot of folks are going to read your story and find the impetus to get empowered and make life altering changes for themselves. Awesome job! Pork skin ideally just fried in its own fat, so no vegetable oil used. Just salt and skin, no carbs. Nice crunchy snack for Primal types, but not everyone likes it. You people! You Friday people! I love you so much! I have to say in utter unabashed selfishness that you make me truly happy. You are my antidote for the frustration and sadness that I feel when I see unhealthy people. And you in particular Larry, with your intelligence – expressing yourself so beautifully all to my benefit. Thank you so much for sharing your experience. What a gift. I feel so good right now, also considering that you plan to go and change the world, plan to help children. Thank you, thank you from the bottom of my grass-fed heart. I love your reply almost as much as I loved the original story and it encapsulated my heartfelt feelings too… oh my the emotion this story brought up… wonderful! Lovely Larry, really well done all of you. Thanks guys. About the humility thing. I was trying to convey, and so many people experience this, how your appetite just comes under control once you become a fat burner, like we are designed to be. Once that happened, not only is the freedom one of the most wonderful things I’ve ever experienced, it just made so much easier. When you can have food choices driven by taste and health considerations and not HUNGRY NOW, so much easier to succeed. To put that in perspective there is something called the National Weight Loss Registry. it is actually more scary than inspiring to me. 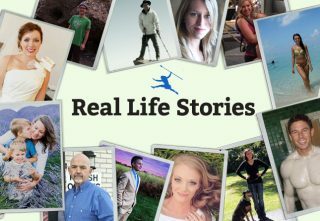 It shares stories of successful weight loss and people that have kept it off. Most are the few percent that can succeed on low fat, calorie counting. Jonathon Bailor estimates it at about 4.5% of people following the conventional paradigm. Ok here is the scary part. There is an amazingly high percentage of people that say they have to work out like an hour a day and think about food all the time and it is a constant struggle to keep the weight off. To me that is shifting from one purgatory to another. And they are not getting the health benefits of going grain free and are having to work five, ten times harder than we do. Even if weight is OK, inflammation is probably not. Sad and depressing. Evolutionary based way of eating just makes things so much easier, that was what I was trying to convey. BTW my wife didn’t proof my submission and wanted me to say it was 5 dress sizes not 10. I was counting from 18 to 8s sometimes 6s. Apparently a dress size is every two numbers. Who knew? Thanks for the comments. Let me know what you think of the interview. I’ve ‘graduated’ from half and half to heavy cream since then and I was just starting to sprint when Sam interviewed me. BTW Sam is quite the N = 1 amazing man. I hope people check out his stuff who haven’t heard of him before now. I must admit sprinting is very rewarding but also challenging. Definitely a balance between injury and going for it for me when I started and even now. Running, at least how I run, is a much tamer pursuit. But sprinting it is for me nonetheless. The interview was great, you covered the important points thoroughly and clearly. With my German heritage I do really well with dairy and I think it’s a wholesome choice for those who tolerate it. I have heavy cream every day and often drink my homemade kefir after running. And cheese! For me cheese is one of those things I can use to kill the munchies (maybe an oz) or just have a spoonful of coconut oil – always shuts my stomach up for hours. Larry, if you have/can get access to a pool, try sprinting in the pool! Excellent workout — you work out harder (water resistance) and your knees and hips are happy with you after it’s over! What a wonderful success story. I am so happy for your discovery, but always so saddened when I look at all the individuals who are not tapping into their “genetic gifts”, and are so bombarded by misinformation, that they think a $1.00 Big Mac is a value, instead of seeing the “sugar-entrapment” that will follow. Glad to know that one more has broken away from the fold!!! This is a great story and I love reading all these stories but I would love to hear the story of his wife, or indeed the partner to the people who undergo these transformations. It seems the simple answer is : If you don’t want to slowly develop modern health issues and diseases (or you want to reverse damage done over the years), then stop eating modern food products. Well done on finding a better way. Your story is so timely for me. I just assumed care for my father became incapacitated following surgery. Alongside him is my mother who seems to be suffering from dementia-like symptoms. She has Type 2 diabetes. I am in my mid 30s and also have Type 2. While I was dealing with my father’s medical issues, my own doctor informed me that recent bloodworm shows my LDL is astronomically high (169) and my A1C has gone up. He is threatening to put me on statins if I don’t get my act together. I am scared of statins. I am scared of “turning into” my parents (similar to your story). 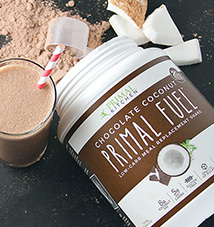 I am mad at myself b/c I have dabbled in primal but have never fully committed. It’s nice to see I’m not alone in facing these issues. Your story is inspiring. I am recommitting to primal in hopes of preventing the sort of decline I’ve witnessed with my folks. I do not want my kids to go through what I am facing when they are adults. I hope I can find the same kind of success you’ve found. Thanks so much for sharing your story. LDL of 169 is not “astronomically high” – it needs to compared against HDL (hopefully high) and triglycerides ( hopefully low). Keep in mind most tests estimate LDL – it is inferred but NOT measured. If you’re not well and the ratios don’t compare well then 169 may be considered high and need addressing by lifestyle changes (eg Primal, LCLF etc) – for some, high HDL, low trigs, no diabetes, normal glucose, good health then 169 LDL can be a very healthy level. Looking at just ONE number is not the define one’s health. Eating properly and walking will probably fix your health issues – but your cholesterol number/s may increase ( health is not a number). Set an example of what is possible . Best to you and you can do this. I want to say first I am not a doctor and check with yours. But I want to echo Mitch. Total cholesterol and LDL is 50 year old medicine. We now know LDL has oxidized small dense which seem to be harmful but rest not. Also something like 74% of people with heart events have ‘good’ levels. Only middle aged men seem to correlate LDL and heart attacks but that was most likely a stress cortisol marker. I’m so happy for you guys. And how lucky is your daughter to have you two paving the way for her future health! Larry, it was a pleasure meeting you and your family at the Primal/Paleo Meet-up event a few weeks ago and hearing your story in person. Now I’ve seen your pictures and my mind has been blown even further! Congrats again to you and your wife on your transformations! Objectifying your child as a workout tool is a sure fire path to parental bliss. Please do not throw her more than five feet. She might not come back. Love it! It’s like rags to riches, health wise. And the little girl – a second and then a third chance. So sweet. This family should be so proud. Look what you earned for each other and your daughter! WELL DONE. Jen thanks. Nice to meet you and happy the group is in Austin. We look forward to the next event we can attend. Rags to riches is how it feels. Honestly if someone offered me a 200 million lottery but I had to eat the way I used to, I’d turn it down in a micro second. Nothing worth more than health and vitality. Our daughters bio mom had lots of health conditions and was basically homeless through pregnancy. Our daughter was 8 months when placed with us and not thriving. But she is now. And so happy and connected and amazing. So yeah epi-genetics. It is wonderful to have this info and way of being for her whole life and she will grow up living it. I love your story and the way you reflect on it. I especially like this line: “As profound as the health benefits have been, I feel they have been overshadowed by the opportunity for me to know a more authentic me with both my body and mind operating and interacting with the world in a truer and richer way.” That is very inspiring. Absolutely beautifully written, so inspiring, so calming, so strong and powerful, and I bet a true reflection of your personality. You really made me sit in contemplation there for a while…. love love loved it. I am a soon to be high school teacher and I want to make my kids eat bacon and eggs for breakfast… like for homework. Kids and bad food + school = nightmare. Thanks so much for sharing your journey! What a walking miracle you will be as you lead a healthy life in spite of your genetic tendency to follow in the steps of other unhealthy family members…. Amazing, very inspiring, showing this to everybody! What an amazing, inspiring post, thank you! I run a small Paleo/Primal group on Facebook and I’m going to aim them here. What an amazing and well written story. Congrats to you and your family, and thanks for giving hope to those of us with life-long weight problems. Just by sharing your story, you’ve already made a huge contribution. Wow congratulations to you and your wife on reclaiming your health. You should be fine to do your Spartan race with being able to do a 5k non stop plus your bodyweight exercises you will be fine. I am doing Warrior Dash next weekend and Spartan later in the month. Grok crawled through the mud didn’t he? What an amazing story. I am 47 and female but in every other way it feels like a mirror. I am only 5′ tall and weigh 253lbs. I have terrible sleep apnea but am otherwise well except for the fatigue, inability to be active and general withdrawal from life that begins as weight becomes a bigger issue. I began my primal journey today! I have almost finished Mark’s book. You and your family Larry will be a part of my inspiration because if you can do it why shouldn’t I follow. Thankyou and good luck to your family and love to your uncle. He is lucky to have your loving support. That is awsome. Remember there is a transition period that varies from person to person. Many feel worse at first because body used to carbs and not fat adapted at first. It gets better. I can’t tell you how many people say I could never give up bread. I say you can’t imagine it now, but if you power through the transition period you won’t be the same after a month. Your cravings will be down if not gone. So yes some willpower needed at first as any change requires. But then when your appetite falls and you start feeling so much better, its a wonderful thing. Wow, I’m really so impressed with your achievements, congratulations! Both you and your wife have transformed tremendously. With your drive and attitude you will surely impact the life of other people positively in the future. Regarding the sprinting, if you have a very steep road or hill, this could be helpful to reduce impact on your joints. Me too I cannot sprint on a flat ground but uphill is okay. Or you try to sprint on an elliptical, due to the round movement it is also very easy on the joints. The advice with the water-sprint from another commenter is surely working, too. Focus on fat and protein. I eat healthy fats in the form of olive oil, raw nuts and avocados, and while I limit red meat, I incorporate a variety of protein, including grilled fish and chicken, eggs, lentils and quinoa in my diet. Powerful story! Thanks for sharing. Larry, I just read your story over breakfast and am so glad I did. You are a wonderful example for so many out there. Thank you for sharing this with us. I thought it was very well written. I am so happy for you and your family! It takes a lot of courage starting from the 300’s. What you have done is beyond impressive! I am so inspired by your story! 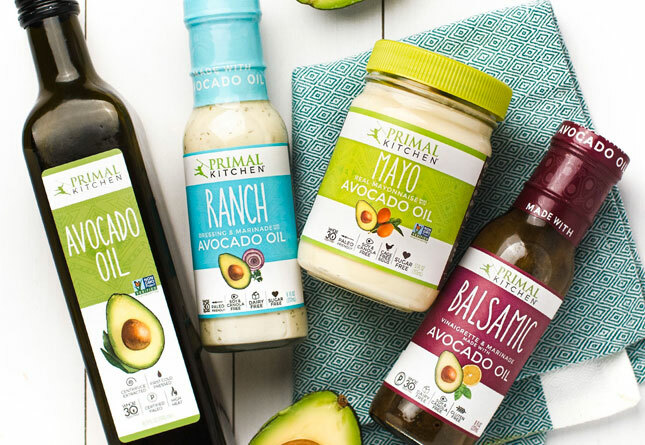 I am about to give Primal-Paleo another try. The first time around, I was half-hearted about it, but I am a BIG woman and need to unload over 100 pounds off my heart and feet. I want to know how you power through cravings. Sugar is such an addiction for me! Any words of wisdom would be helpful. Thanks for sharing your incredible story. Thanks Sandy. You can do it in stages, you don’t have to go full Primal all at once. For the first month I cut out all fast food and my traditional snacks and store bought bread and pasta. I didn’t even know the terms Paleo and Primal back then. So I did have some bread at restaurants. The important thing though is to become fat adapted and eventually grain free or at minimum gluten free. I feel most everyone benefits from gluten free. 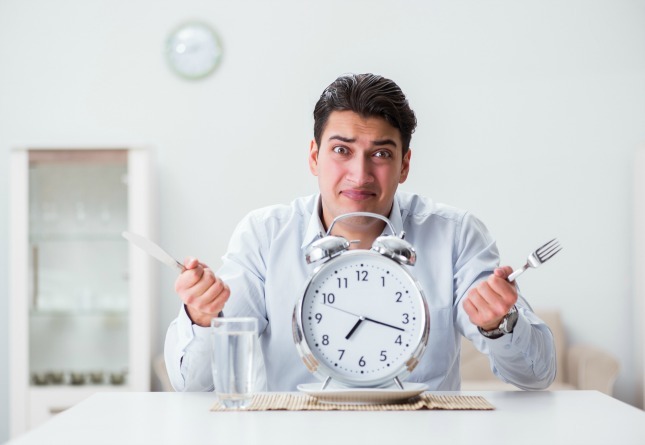 What you can’t know now, but it happens to almost everyone is that your cravings are in large part because you are a sugar burner and metabolism and hunger hormones are out of whack. As you transition to becoming fat adapted your hunger and cravings will change dramatically. I had over 100 lbs to loose and I think people starting at that point should maybe not focus exclusively on full Primal or especially full Paleo (no dairy) at that point. Target the key culprits for the insulin roller coaster (grains, processed foods, low fat anything) and add more healthy fats to become fat adapted. Once things are in better shape then you can do a month dairy free and add it back in to see if you are sensitive if you want. Cravings and appetite are not set for life things, as you change your way of eating they will change also. Plus try keeping in mind how hard it is being obese. Yes change is hard, but obesity is no picnic. You look amazing! Love hearing stories like this. Awesome job, amazing transformation. Our journey is very similar, same age starting wt etc except you have far exceeded me. I’m now back on track. Started at 288lbs in 2011 Been able to maintain a 30lb wt lose for 3yrs. 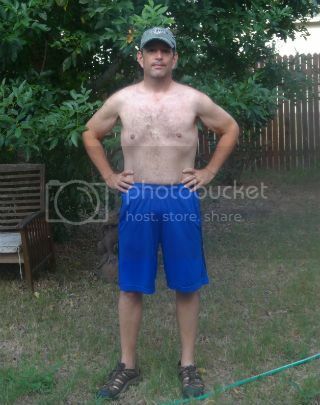 I’ve just been maintaining, now back on track to lose another 20-30 lbs. Thanks for sharing your story, you’ve motivated me to keep on loosing and building muscle!! 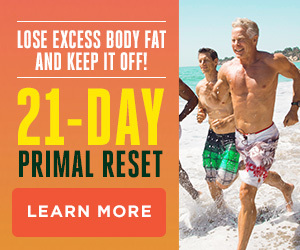 Paleo simply works and a lot more people are starting to realize that- Thanks to this great site and stories such as yours!! A quick update because I just reached a milestone for me. I woke up today and weighed 167, normal on the BMI. That was not as important as overall health and well being for me. But still being chronically morbidly obese and knowing over 70% of America is overweight and obese, I had a personal goal of being ‘normal’. I had a wonderful time at Primalcon. Mark and Brad and the staff are as personable and engaging as you would expect. The other campers and presenters were great and the food was wonderful. I also did the PB cert. I will be speaking at my workplace and at a local health food store. I hope I get the OK to do official PB seminars at one point. I also submitted to do a presentation at PaleoFX 2015. Fingers crossed on that one since I think it will really resonate. Longer, or maybe shorter term I’d like to write a book, and it to do well. Reach as many people not aware yet as possible. Healing ourselves is the only way forward I am becoming more and more convinced. I like the PaleoFX motto: heal thyself, harden thyself, change the world.